Her wing brushed him, then she shrank… becoming a purple-haired woman. 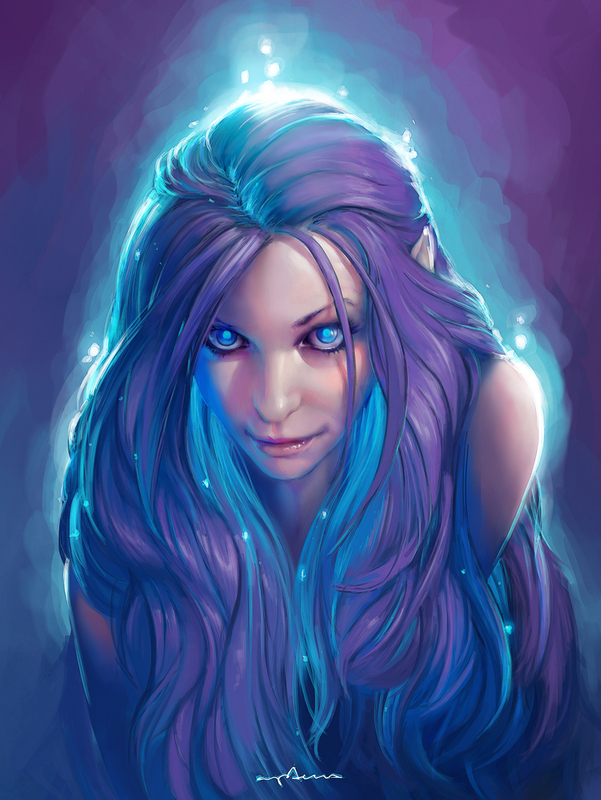 Elf Girl with Magic Glowy Hair, by ‘apterus’. Click here for more of the artist’s work! Nice one. I love the twist (which you manage on many of these). Thanks! I’ve learned that people like to read a good twist, and it’s always fun to come up with them. Very nice! I’d love to see this story extended.